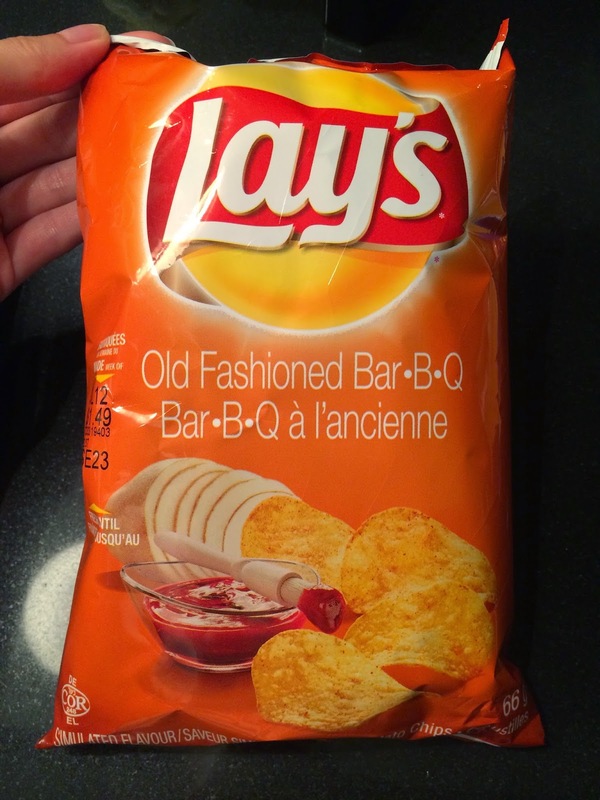 When we went to Quebec City, we happened to find "Lay's Old Fashioned Bar・B・Q," that we'd never seen before. 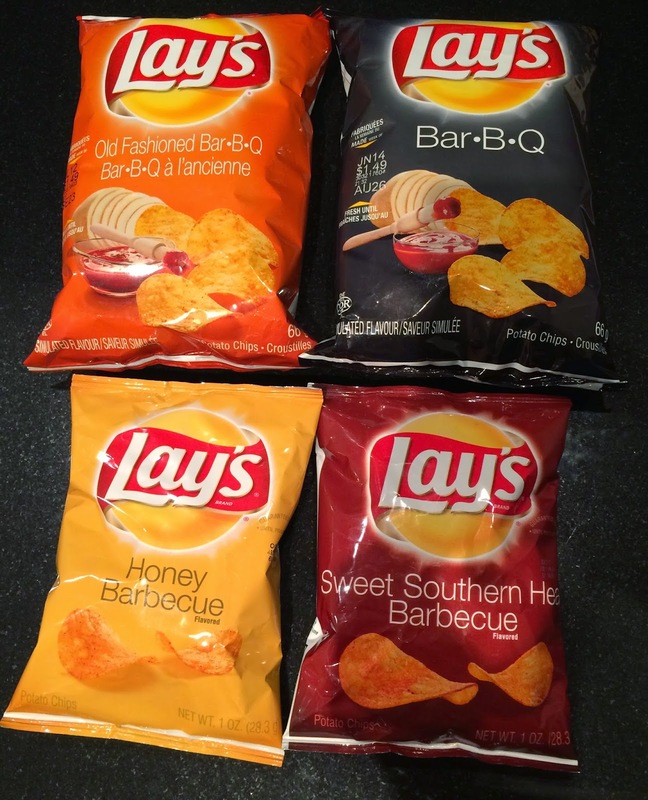 And my husband said, "Let's do the showdown of all the 4 BBQ flavors we've found in Lay's." This is how we decided to review all the 4 BBQ flavors. 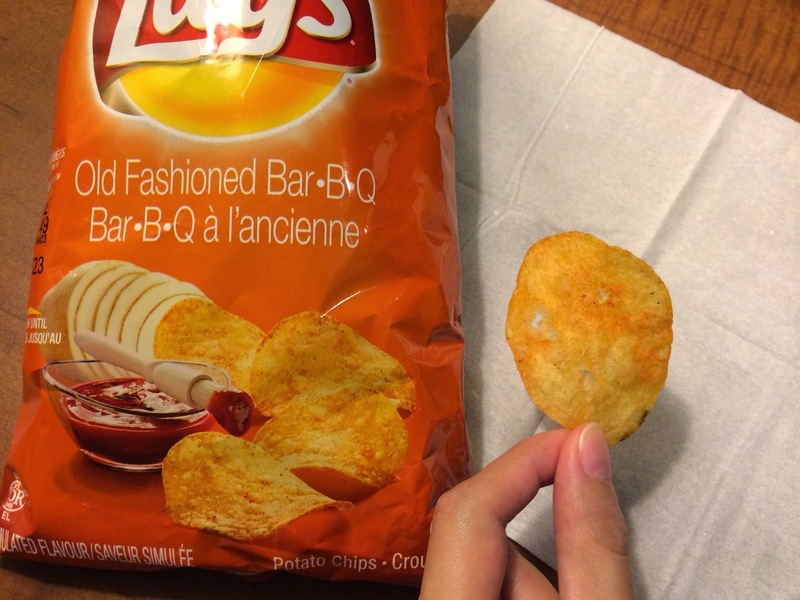 First BBQ flavor is "Old Fashioned Bar・B・Q." The package photo is similar to regular Bar・B・Q but the way they put the brush and the shape of the glass cup with sauce rare different. 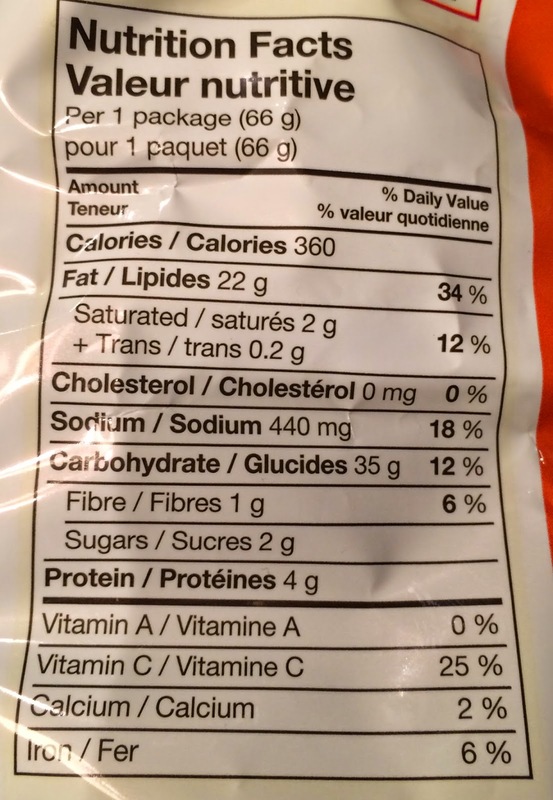 The color of the potato chips were orange as they're covered with flavor powder. It smelled like consommé flavored potato chips. It had more sweetness than saltiness, and a light tangy feeling was left in the throat. 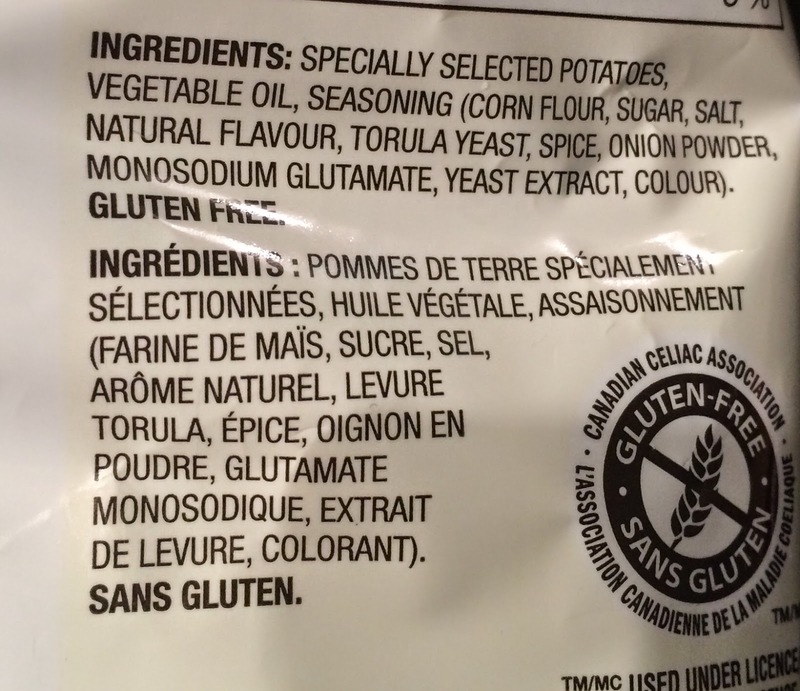 The ingredients were all different, so I write down them all here.